Citation Reads: Frank has been the Bundoran Branch Chairman since 1989 and in 2009 he took on the role of Secretary. Frank leads by example, always present at events regardless of the weather and his wise council ensures the smooth running of the Branch. Mr Patrick McMorrow, Bundoran fundraising Branch received a Gold Badge. Citation Reads: Patrick has been the Treasurer of Bundoran Fundraising Branch, which is a branch since 1989. During that time he has maintained the accounts meticulously in a diligent manner. He is never shy where hard work is required. His dedication to the RNLI is clear and his helpful manner ensures that tasks are completed without fuss. 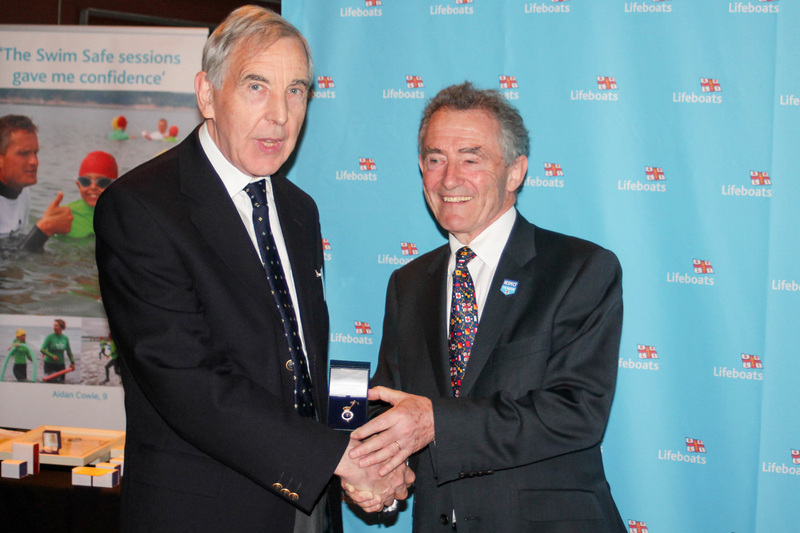 Patsy Fowley was presented with his long service medal and letter from RNLI CEO Paul Bossier, by Bundoran Lifeboat Operations Manager Tony McGowan. Citation Reads: Patsy has given 43 years of service as a Lifeboat Crew member, shore crew and now plays a leading role in fundraising. Citation Reads: Tony is an experienced and professional seagoer with an instinctive knowledge of the Donegal coast and the conditions that his Bundoran lifeboat crew may have to face in the course of their lifesaving duties. Having been involved with the RNLI for over twenty years, eighteen of those at Station Honorary Secretary and latterly as LOM, he has helped shape a committed and enthusiastic team both operationally and in fundraising. Tony has made a significant contribution to the saving of lives off the cost of Donegal and to the RNLI both in Bundoran and in the wider RNLI. 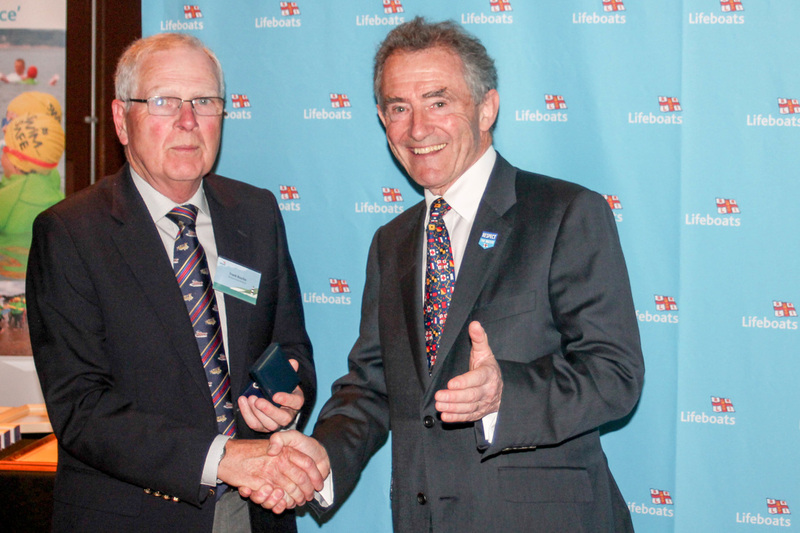 Tony is well deserving of the award of the RNLI’s Gold badge. 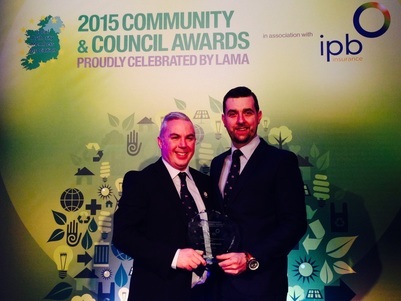 Volunteer crew of Bundoran RNLI Lifeboat received the Emergency Response Team of the Year, awarded as part of the 2015 Community and Council Awards which are celebrated by LAMA (Local Authority Members Asc). 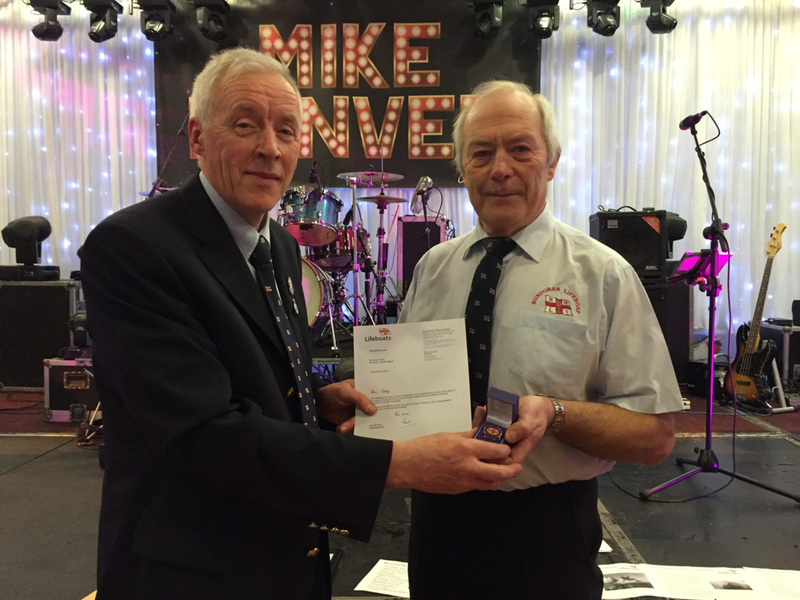 Dr. Philip Murphy, Bundoran RNLI, received an Inscribed Statuette. Citation Reads: Dr Murphy has been conducting lifeboat crew medicals and providing welfare support for the team at Bundoran for over 14 years. He is well respected and his valuable contribution to the effective running of Bundoran lifeboat station should not be under estimated. 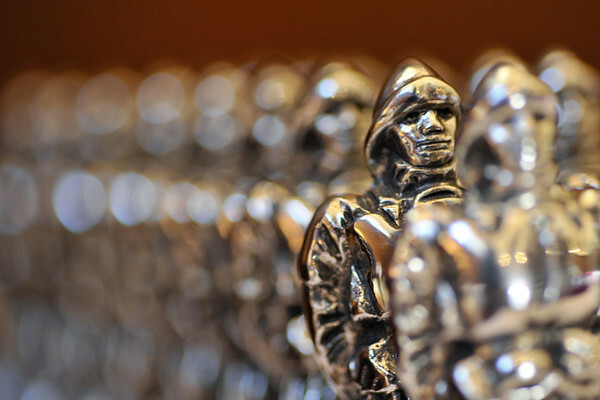 Shane O’Neill, Bundoran RNLI received an Inscribed Statuette. Citation reads: Shane has worked incredibly hard as Lifeboat Training Coordinator at Bundoran Lifeboat Station for the last 10 years. His attention to detail and energy for the role is second to none. He has been a member of the lifeboat crew at Bundoran station since 1995.